The story of Darina brand began in 1994, with the first investment made by Aurel Baciu in the retail trade sector. The concept of offering the client an extremely wide range of products at fair prices quickly led to success and opened the way to new investments. Since then, the number of Darina stores kept growing every year as well as the concern for upgrading the quality standards of both the products and the provided sevices. Slowly and carefully, Darina expanded into every neighborhood of Tîrgu Mureş and also in Ungheni. The company’s slogan is “Always near you with the best products and services!”. Having this have a motto, the company offers products and services at fair prices in clean, modern stores with fast and friendly service. Every citizen living in Tîrgu Mureş or in Ungheni has a Darina store nearby offering a wide range of products, modern and fast services and suitable opening and closing hours. At present, Darina has a total of 12 stores. 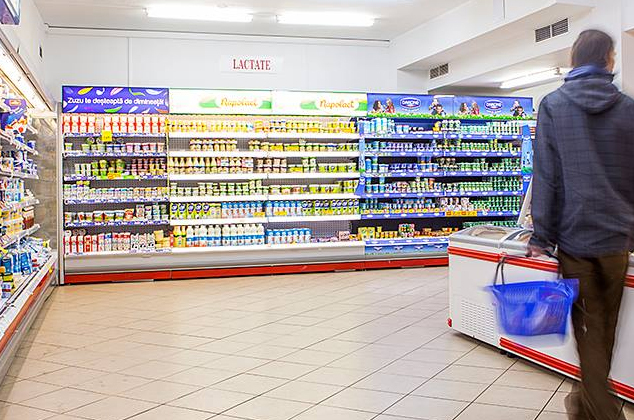 Over the last few years, Darina Supermarkets have been enlarged and brought up to date so that the atmosphere is more comfortable and the clients are more at their ease. Apart from expanding the store chain, Darina also invested in the hospitality industry. For over 7 years now, Darina Touristic Center in Ungheni, situated near Transylvania Airport is well known for its popularity in organizing unique wedding receptions as well as other events. Thousands of tourists from all over the world have chosen to stay in this three star motel not only for the nice restaurant and accommodation but also for the recreational centre comprised of: an open air swimming pool, tennis courts, football pitches, a small gym, a playground for the children. The story continued with the opening of a new three star Darina hotel in Tîrgu Mureş, and then with another hotel in Ungheni. The most recent investment is the purchase of The Golden Fish Complex (Peştişorul de Aur) in Sîncraiu de Mureş which is comprised of Laguna Hotel**** and the Golden Fish Restaurant. Both make a perfect location for conferences or teambuilding meetings, or for an unforgettable wedding on the lake. The secret recipe for the continuous ascension of Darina company is nothing more than hard work, patience, inspiration, continuous improvement and a constant care for the quality of the provided services. It is well knowns that, nothing can last in the long run without a positive feedback from your clients.